The bank will pay £56m for IT failures after being handed a £400m penalty just last week. 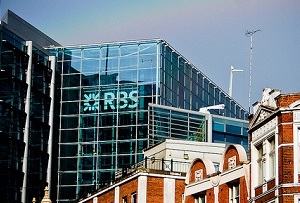 Drawing the ire of financial regulators is becoming quite a habit for RBS. The bank group was today handed a combined £56m fine from the Financial Conduct Authority (FCA) and the Prudential Regulation Authority (PRA) for IT failures, after being slapped with £400m of fines over the rigging of forex markets just last week. The failures occurred in June 2012, leaving many customers of the 81% taxpayer-owned bank struggling to access their accounts for a number of weeks. The FCA acknowledged that it wasn't the result of underinvestment and that positive steps had been taken since, but said there were inadequate testing procedures and a failure to identify the risk. The bank will pay £42m to the FCA and £14m to the PRA, the first time the regulators have taken joint action. Philip Hampton, RBS' outgoing chairman, apologised to affected customers and said he was confident in the progress made since. The fines follow £400m worth of penalties which were levelled against the bank last week over the rigging of foreign exchange markets. The FCA and the CFTC (the US regulator) handed out fines to five banks which failed to prevent traders from manipulating the price of major currencies, to their clients' disadvantage. RBS was also fined £390m UK and US regulators and £324m by the regulators last year for its involvement in the Libor rigging scandal, and £2.8m in 2011 by the FSA for failures in dealing with customer complaints. Banker-bashers will be pleased to see that regulators aren't afraid to show their teeth, but as the bank is mostly in public hands the fines will effectively be paid for by all of us.